Three main witnesses in the case turned hostile. Government lawyer did his best to prove the case of the prosecution, but if witnesses don't talk, what can the prosecution do." The Special CBI Court on Friday acquitted all 22 accused in the alleged fake encounter case of Sohrabuddin Shaikh, Tulsiram Prajapati and alleged abduction and murder of Kausar Bi. Judge SJ Sharma pronounced the verdict in a packed courtroom with all the accused present. This was Judge Sharma's last judgment in this tenure, as he has been transferred. He said: "I am sorry to the families of all the deceased but the way evidence was presented before me, prosecutions' case against the accused could not be substantiated." The verdict was reserved in this case on December 5 after advocates for all 22 remaining accused finished arguments. A total of 16 out of 38 accused were discharged from the case. Out of the 210 witnesses that have been examined, 92 turned hostile. CBI took over the investigation from CID in 2010. Initially 38 accused were named in the case, including Amit Shah, however, 16 of the accused were discharged. Now, only 22 accused remain, with Shah and all senior officers from Rajasthan and Gujarat discharged. All of the remaining accused are junior police officers. Between 2014 and 2017, these accused including Shah, then home minister of Gujarat, then Rajasthan Home Minister Gulab Chand Kataria, DG Vanzara then DIG, (ATS) Ahmedabad, Dinesh MN, then SP, Udaipur and Rajkumar Pandiyan, then SP (ATS), Ahmedabad were discharged. The case was first heard by Judge JT Utpat, then Judge BH Loya, after his death MB Gosavi, and now SJ Sharma. 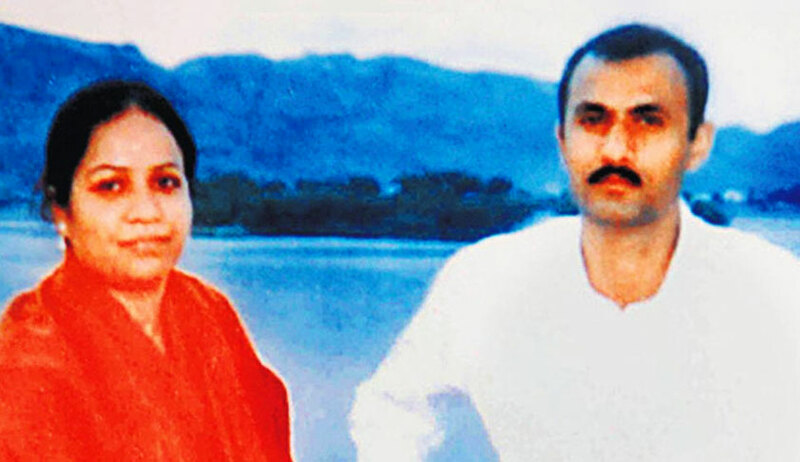 According to the prosecution, on November 23, 2005, Sohrabuddin was travelling on a Hyderabad-Sangli bus along with his wife Kausar Bi and his trusted aide Tulsiram Prajapati when they were allegedly abducted by a team of policemen attached to Gujarat’s ATS and members of the Special Task Force from Rajasthan. The couple was illegally detained at a private farm house near Gandhinagar and two days later, Shaikh was killed in a fake encounter. Kausar Bi and Tulsiram too were later killed. The case was transferred to Mumbai on orders of the Supreme Court. Judge Sharma also observed: "Sohrabuddin died due to bullet injuries that are also substantiated by the post-mortem report but whether these accused were authors of the said crime could not be substantiated. There is circumstantial evidence but no substantial evidence. Three main witnesses in the case turned hostile. If the government lawyer did his best to prove the case of prosecution, but if witnesses don't talk, what can the prosecution do."